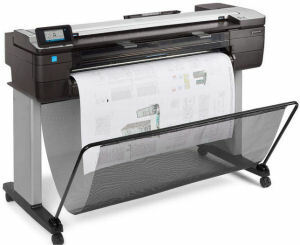 Enjoy a built-in scanner at an unbeatable price with the HP DesignJet T830 Multifunction Printer. Half the size and built to last, this robust MFP handles challenging sites, like construction. Plus you can use this MFP any place your Wi-Fi signal can reach.